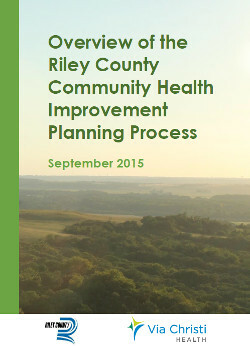 Voting and discussion from the community meetings held January through April revealed important community health issues to be addressed in Riley County. These issues were narrowed down to thirteen "priority issues" that could potentially have the highest impact in improving health and well-being in our community. Preliminary results were reviewed by many community partners and residents at a meeting on April 9th to help further narrow our priorities and discuss potential action steps. The planning team met in the summer to finalize suggested priorities. Work on an implementation plan that brings together community partners to address selected priority issues in a concerted, coordinated effort is underway.